It’s hard to control every aspect of your life when the flu season is in its full peak and you wish to avoid contracting the sickness. That being said, there are certain aspects that can be managed if you want to take some precautions. The most obvious example is your home which can be flu-proofed with a few simple and effective techniques. The flu spreads easily at your workplace or in the school of your child. To remain one step ahead of this disease, you need to learn how to maintain a healthy home. Your first instinct is probably to seclude yourself as much as possible from the outside and stay holed up for the entire length of the winter season. While that may be effective somewhat, there are more moderate approaches that can work just as well. It’s definitely possible to keep the flu at bay without making drastic changes to your life. We’ll take a look at some of the most helpful tips for protecting your home from flu viruses and other germs. Even though viruses and bacteria can be found in lots of places throughout your home, there are few so-called hot spots that you should specifically try to avoid. 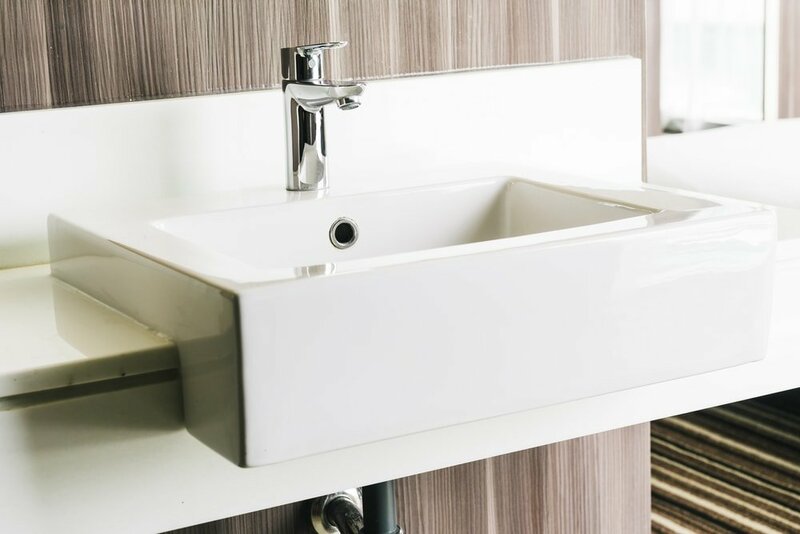 The sink is one of the favorite landing sites for these germs. Other examples include doorknobs as they’re frequently touched by dirty hands. Electronic devices such as the remote control or the computer’s keyboard – these can be considered important meeting spots for germs that should be avoided as much as possible. It makes sense that such common objects can help spread viruses like influenza which pass from an infected person to a healthy one through touched items. There’s also the risk of disease when you touch an object that someone who has the flu has sneezed on. While it’s impossible to avoid germy things completely, you can use this extra awareness and go through some cleaning procedures to minimize the risk of infection. Washing your hands is the number one prevention measure that you usually hear from health specialists when it comes to avoiding germs and sickness. And this is a piece of advice that you should never forget as it’s really very effective to stop spreading viruses and other germs. While you can probably focus on hand washing more frequently, the bigger problem is if other family members follow your lead. It’s not very hard to remember to wash your hands after touching hot spots for germs. This is something you can control. The only thing left is to find the right approach to encourage other people to wash their hands more often. Constant reminders can make it feel too bothersome, so that’s why we recommend a different solution. Turn the process of washing your hands into a more enjoyable process by setting up a dedicated station for this purpose in the bathroom. That sounds more complicated than it really is. Usually, it’s simply a matter of changing things up a bit like replacing the old soap with another that smells better or makes more foam. Another way to improve the pleasantness would be to add some softer hand towels and to make sure they’re changed more often. Nobody likes to dry their hands with a semi-damp or dirty towel. Aside from these easy-to-do steps, you can go the extra mile and bring some perfumed candles to enhance the atmosphere. Some moisturizer can be also appreciated as the winter season can often cause dry skin problems. 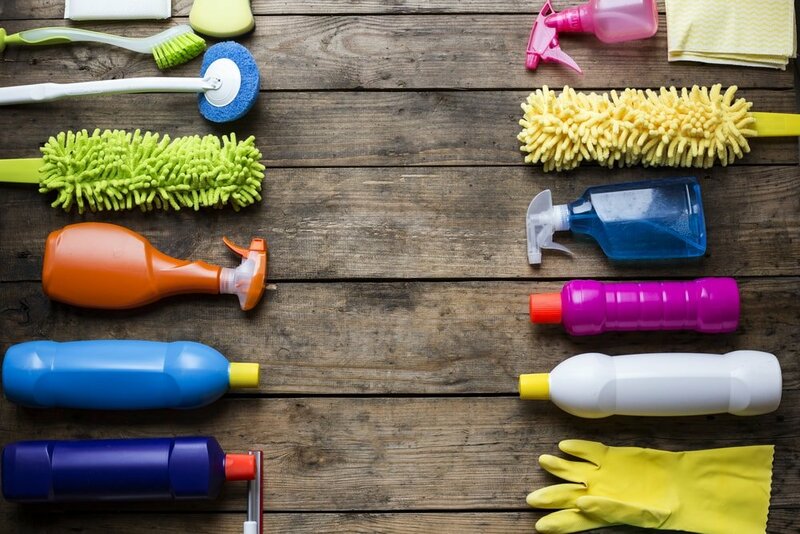 A healthy home is a disinfected one. When dealing with your usual cleaning chores, you need to pay some extra attention to disinfect key areas during the flu season. Think of the hot landing sites for germs like we’ve previously discussed. Habitually applying a good dose of disinfectant to them represents a good solution to keep the home flu-proof. 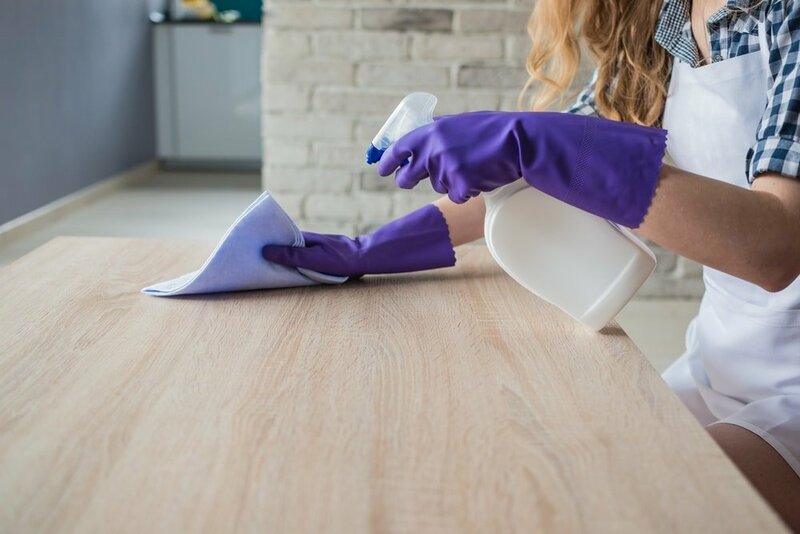 All those countertops, cabinet handles, and other places that are frequently touched should take special priority and get thoroughly cleaned. The washing machine should work extra hard around the time of the flu season. Get sheets and towels cleaned more often than usual if you wish to minimize the risk of diseases spreading. Swap dish towels for clean ones more frequently to prevent dangerous germs from getting too close to your food. Families with young kids should be extra careful when it comes to cleaning the children’s toys. They can be fairly germ-laden, so it’s recommended to throw washable toys in the washing machine and disinfect the others with a brush. Other tasks that go hand in hand with disinfection are the cleaning of the toothbrush in the dishwasher and microwaving the sponge. Even better, we recommend replacing the kitchen sponge as often as possible as this is the kind of item you can buy in bulk for cheap. A key area that should be disinfected is the desk. Your home office is most likely full of germs so give it a frequent cleaning treatment to reduce exposure to the flu virus and to maintain a healthier work environment. Some people can be too eager when it comes to flu-proofing their home and make the mistake of spreading the germs around instead of disposing of them effectively. Make sure you use cleaning tools like dishrags and mops correctly and always sanitize them when going from a cleaning job to another. Otherwise, you risk spreading the germs around even further and get into a paradoxical situation where your very clean-looking house has more germs than some messy-looking places. 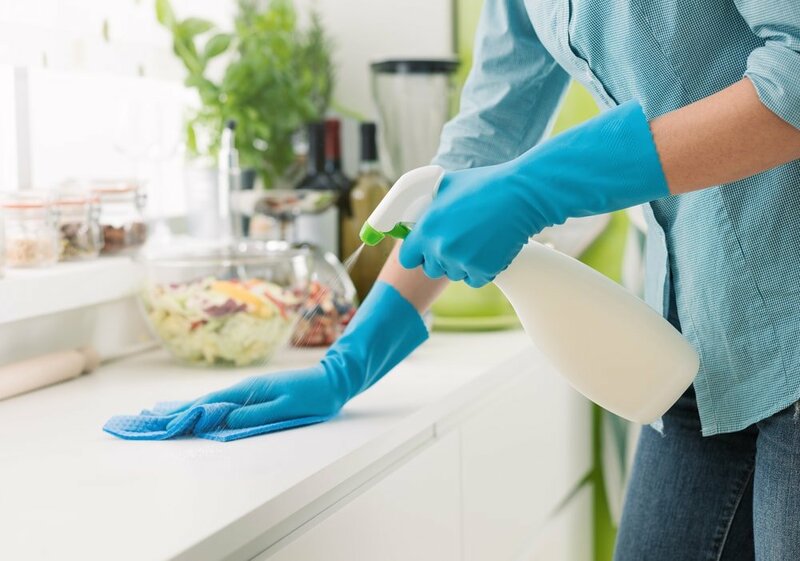 This doesn’t mean you should restrict your cleaning habits and let the germs concentrate undisturbed in some areas like the garbage or the sink. Try to find some solutions to avoid the constant cleaning of your dishrags if that feels like too much of a bother. A good example is to rely more heavily on disposable paper towels. And when it’s time to clean the mop, consider using high-temperature water for effective germ-free cleaning. 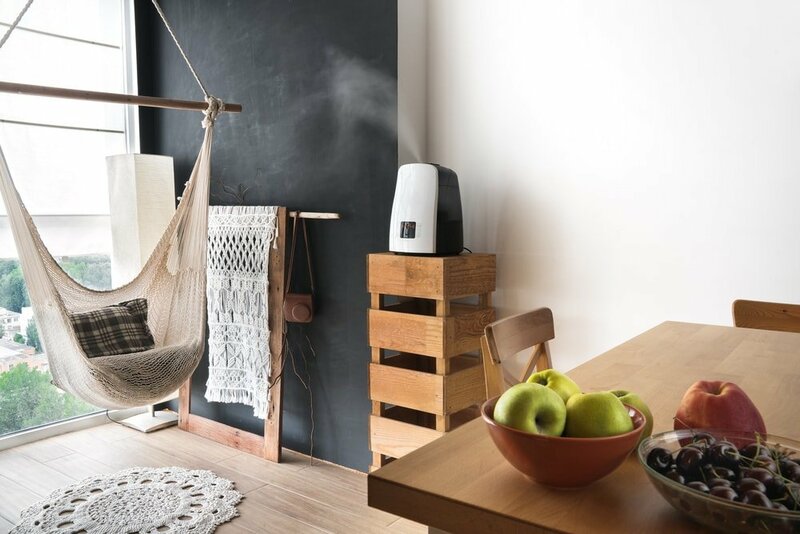 Humid air can help to slow down the proliferation of viruses, so getting a humidifier could contribute to a healthier home. We recommend a powerful humidifier like this model from Amazon which offers enough output to cover an entire house. While humidifying the air represents a good precaution to take considering the inhospitable environment it creates for flu viruses, it’s important to make sure the humidifier is properly cleaned on a regular basis. Bacteria and other germs can find a nice spot to breed in your humidifier. This is why you should keep in mind that humidifying the air requires some maintenance. The best time to deal with this task would be when it’s warmer outside. Some of the ideal humidity levels that you should strive for your home are between 40% and 60%. These are the minimum levels at which the growth of bacteria becomes significantly impeded. Aside from washing your bedding as often as you can, the bed needs some extra care when the flu season comes. If you’re already sick, getting enough sleep it’s critical for your body’s ability to fight the illness. This is why your bed becomes an important spot that you should transform in a pleasantly cozy space where you can get adequate shut-eye. Sleep is an essential ally when it comes to maintaining your body healthy and so it makes perfect sense to keep your bed in the best shape for a flu-proof home. 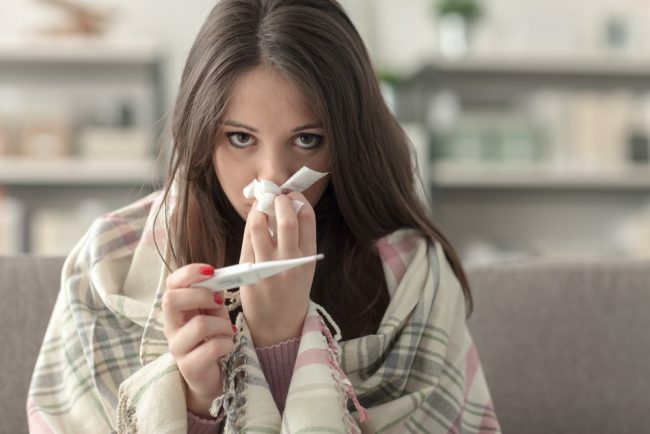 In the flu season, you should be more careful when sharing things with coworkers or other people, and the same can be said about family members at home. 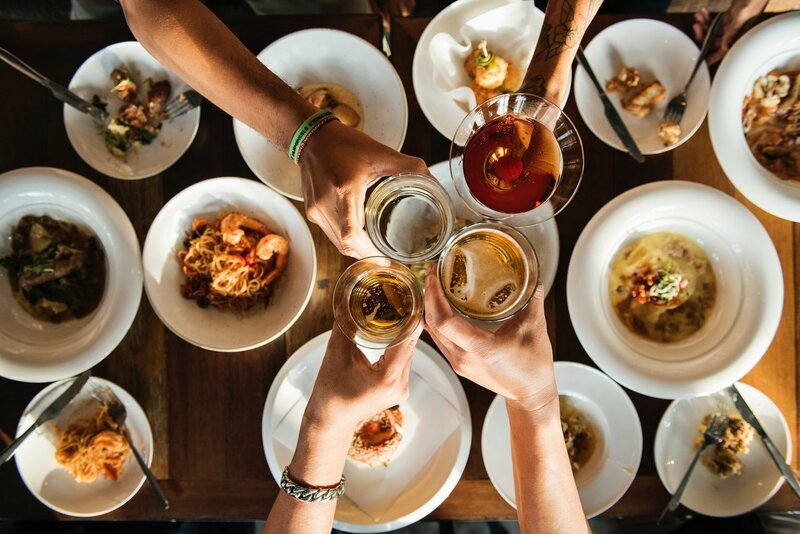 It’s easy for germs to pass from them to you if you share the same glasses and utensils. Everything has to be properly cleaned to avoid contamination. Avoid leaving used plates or cups around the house or anything else that needs to be cleaned before sharing. Even though the cutting board doesn’t have a huge impact on the spread of the flu virus, it’s still a good idea to know how to choose the correct one to maintain a healthy home. 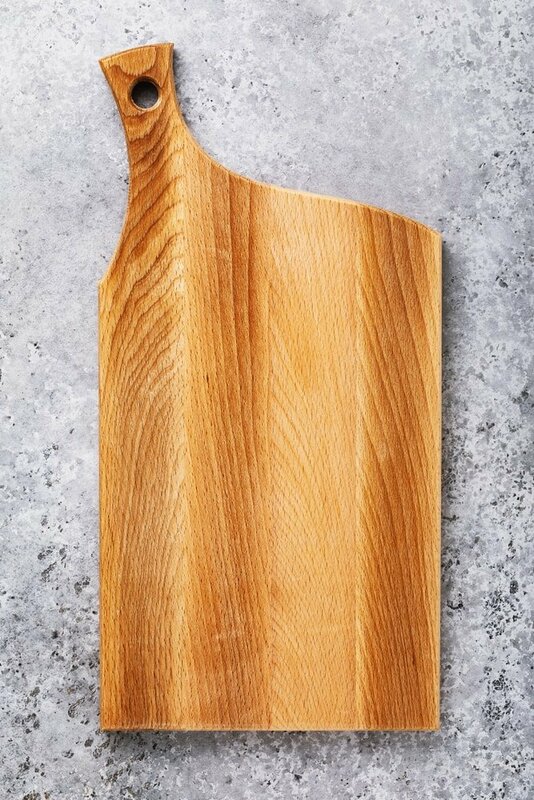 The cutting board can be a favored spot for any kind of germs, not just food-borne pathogens. Wood seems to be the ideal choice in this regard as it doesn’t hold onto bacteria as much compared to plastic. There are some advantages to plastic cutting boards though. You can wash them in the dishwasher and disinfect them more effectively as opposed to washing the cutting board by hand. Assuming you don’t live in a very polluted area, it’s highly recommended to open the windows more frequently to keep the air in your home fresher. Indoor air gets stale very quickly so proper air circulation is very important. Adding more houseplants can also offer a little boost in air quality. They also provide your home with some stylish decorative opportunities. While opening the windows and bringing in some greenery has a considerable impact, it’s still not comparable to getting a more performant solution like an air purifier. We’ve mentioned the importance of humidifying the air, but that doesn’t have that much of an effect on the air quality as an air filtration system would. If you want to have the healthiest home possible, cleaning the air from harmful particles represents a vital step to undergo. When it comes to viruses though, things get a little trickier as modern filters can only reduce exposure and not fully eliminate them. Air purifiers, such as this reliable unit from Amazon, are decent at improving the quality of the air in your home. They’re not perfectly flu-proofing your home, but they come with many advantages for those with allergies and pet owners. It’s also worth mentioning that an air filtration system must work continuously to be truly effective at its job. If the fan’s not blowing, many more particles will slip through. Bacteria and viruses are very adept at staying alive on the surfaces in your home like the sink or countertop. Some surfaces are more preferable than others for germs to settle down. By equipping your home with copper surfaces you can make the life of these bacteria and viruses harder. They won’t be able to last as long considering the anti-bacterial and anti-viral properties of copper and brass. 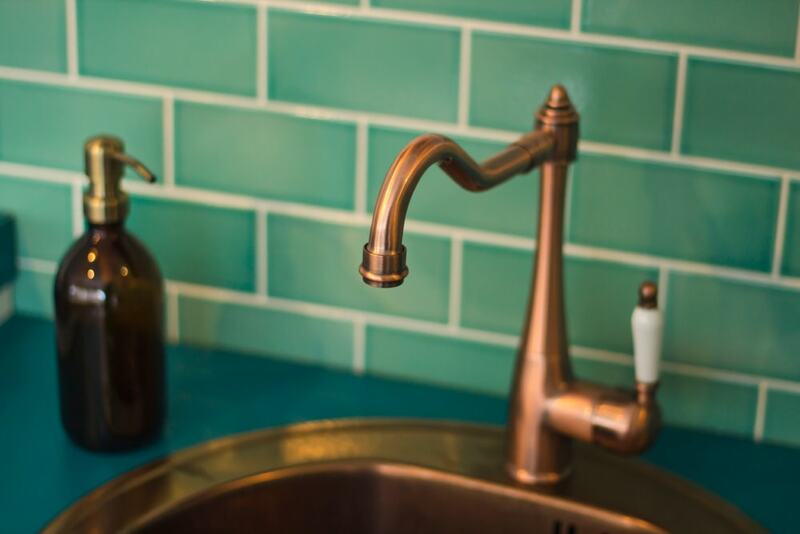 If you plan on doing a makeover in the bathroom or kitchen, we recommend going for a copper sink. There are other places where you can incorporate some brass, like the doorknobs or cabinet handles. Fans of a more vintage look will probably appreciate the visual effect of classic brass hardware. Take a look at this copper sink from Amazon which brings some of that antique charm into your home while protecting it from germs. Having enough supplies in your home translates to a healthier environment overall. 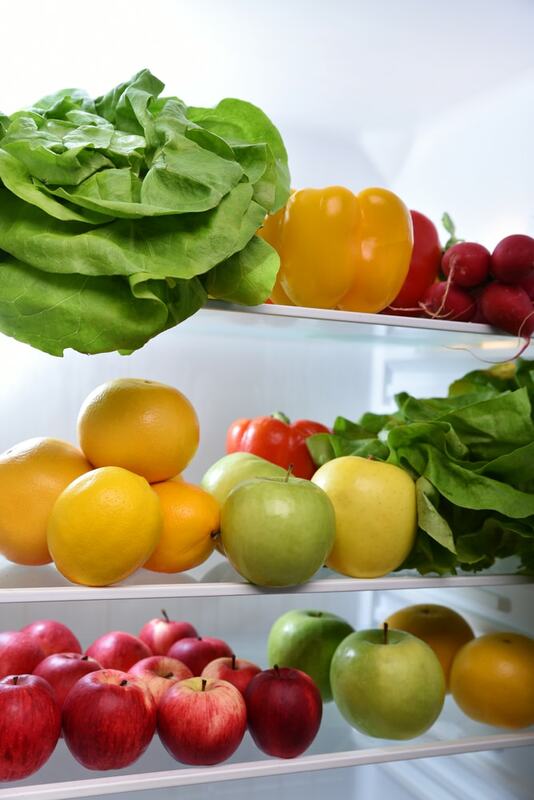 Adding more nutritious whole foods such as fruits and vegetables to your fridge is an important step to help your body fight against germ threats. Your body needs to be strong in case it becomes sick so it can fight the flu illness. This is why foods concentrated in antioxidants are vital to have in your home. Another aspect that’s worth mentioning is to stay well hydrated. Family members can often forget to drink enough water so you can help them by placing more water carafes or water bottles in more accessible spots. Staying hydrated is also easier when you add some flavor to plain water with the help of fruit slices or herbs. A touch of lemon or mint will make any drink more appetizing.